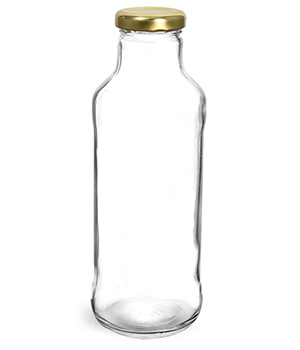 These clear glass beverage bottles come with plastisol lined gold metal lug caps. 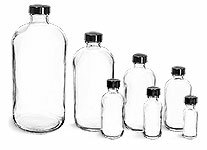 These elegant clear glass bottles could be perfect as iced tea bottles or juice bottles, or to package salad dressings, sauces and other food products. 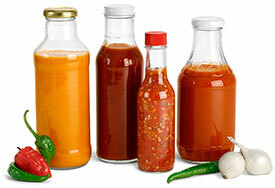 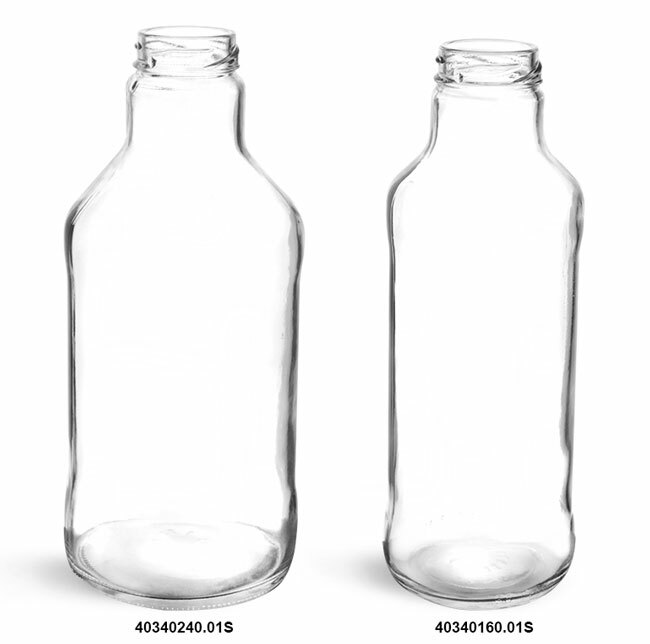 Try adding a shrink band to these glass bottles, offering your customers a tamper evident container.